Start your week with a bright and cherry Birthday card by designer Beverly Sizemore. Doily and Roses -- Michael's Stores, Inc.
Hello, everyone, and welcome back! 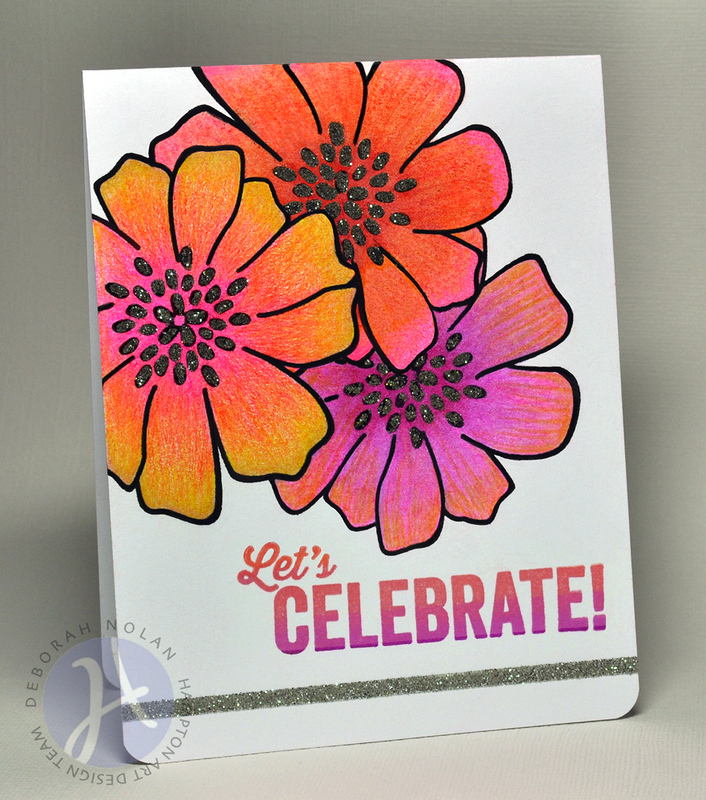 Today's card uses Summer Red Raspberry Soup products from Jillibean Soup! Adhere a 3.25" x 4.75" white panel to card front. 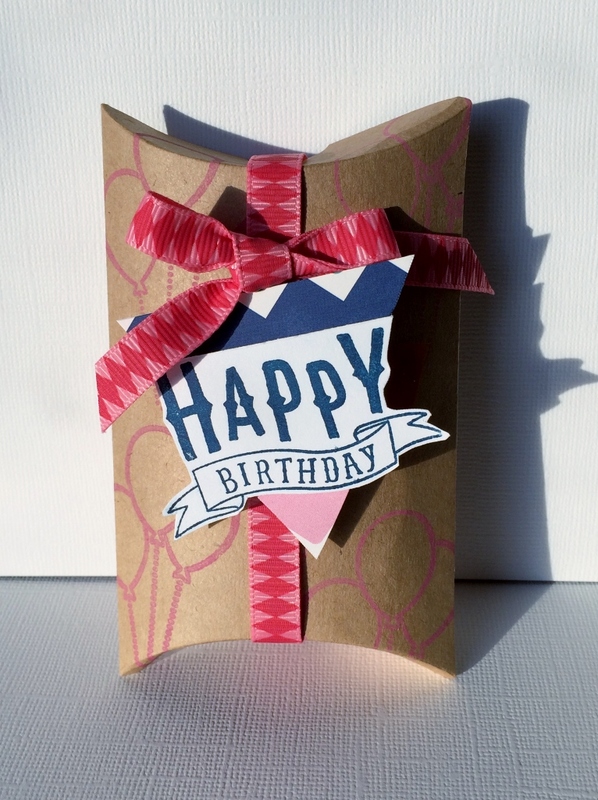 Wrap card front with ribbon and secure with double-sided tape. Gather ribbon ends together and tie with hemp at side. Adhere sequins over hemp bow and dot centers with Stickles; set aside to dry. Cut "You & Me" journal square from patterned paper and adhere stars. 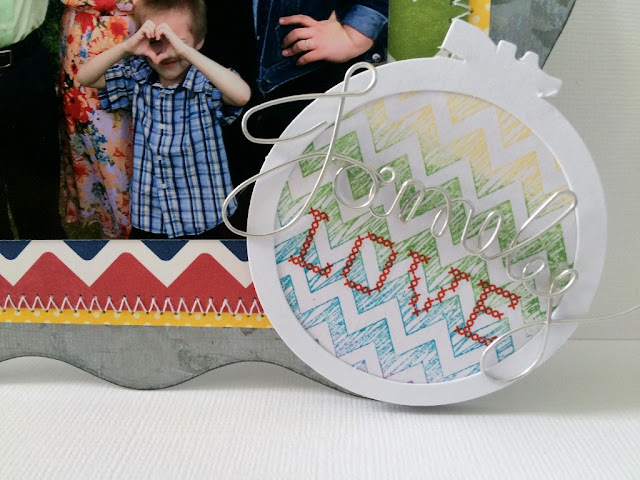 Color wooden heart with Krylon pen, coat with Stickles, and adhere to card. Adhere foam mounted panel to card. Have you had a chance to play with any Mix the Media surfaces yet? I just love them and wanted to share a project made with the small galvanized surface today. This little hanger just needed a new Hampton Art chevron stamp, some paper, ink and stitching to transform it into a playful home décor piece. First I started with some Yellow Salt paper as a backer mat, layered on some brand new Sew Sweet Sunshine Soup rainbow chevron paper called: Sew Creative. Then I stitched them together for texture and to add to the “sew sweet” theme. Then using red sticky strip tape attached it to my surface. 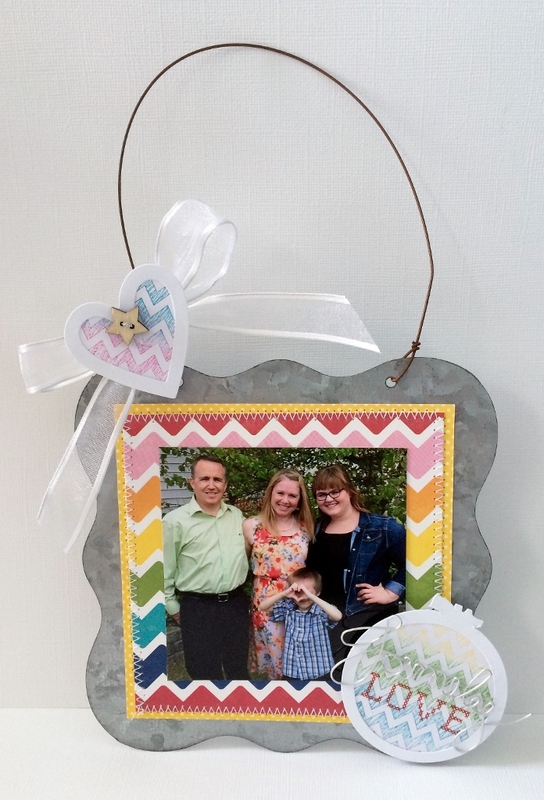 Then I added my family photo with adhesive centered as shown. Then I grabbed the fun new mini placemat cut-out shapes from Sew Sweet Sunshine collection and add the hoop and heart . As backers for them I stamped in rainbow colors the New Hampton art chevron background stamp and adhered to the back of the cut-outs. Then I added a sheer white ribbon behind the heart and a wood star button on top of the heart. Last I added a mini rub-on sentiment of “LOVE” in cross-stitch design with a wire word “family”. Jillibean Soup's Summer Red Raspberry Soup is on the menu today! Make a 4.25” x 5.5” card base. Die cut four banners of patterned paper and adhere to 4" x 5.25" cardstock panel. Wrap strip of striped patterned paper over banners and adhere to panel. Adhere: Pea Pod flower to doily and doily to panel with dimensional tape. Thread button with hemp, tie bow, and adhere to Pea Pod flower. Cover wood veneer butterflies with ink and adhere once dry. Apply dots of Perfect Pearls to center of butterflies. Adhere: panel to fun foam mat: to card. Occasionally I want to give someone special a gift card but also want to add just a little something extra, like candy or jewelry. These kraft pillow boxes by Jillibean Soup are the perfect solution, and add some new Hampton Art clear stamps and you can personalize for any occasion. This is so quick and easy. Grab your kraft pillow box and stamp an image in your chosen color, I used pink for the balloons. Next stamp the sentiment onto white cardstock; I used navy ink and fussy cut as shown. Last I layered the sentiment with 3D foam dots onto some new Jillibean Soup Sew Sweet Sunshine Soup paper and cut in triangle shape as shown. Then just slide in your giftcard and any little goodies like candy or a small gift and seal by tying a ribbon around it and finish with a bow. Presto! 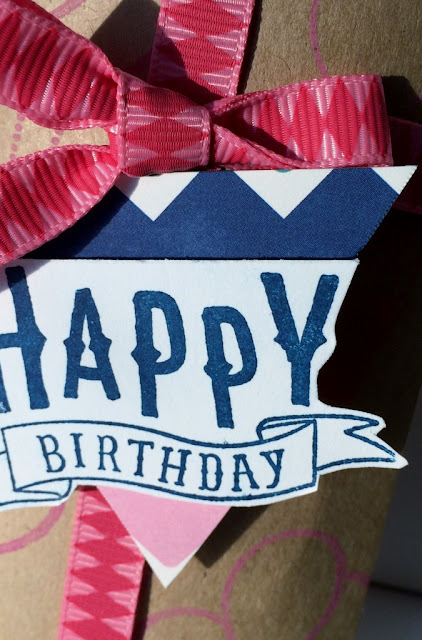 ; a super easy and quick gift that you can customize for any occasion. 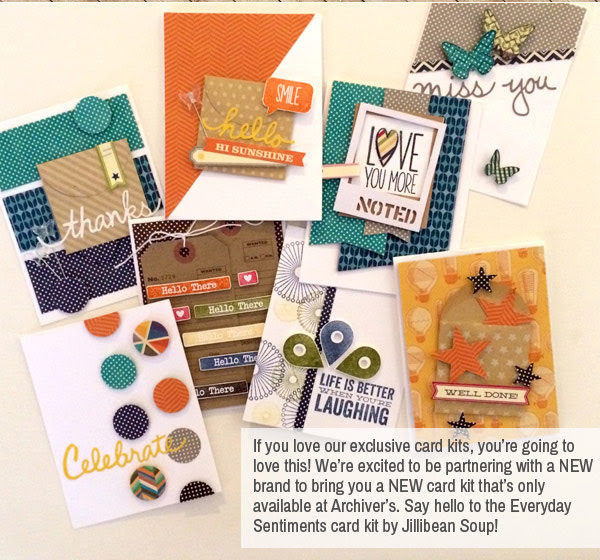 New Exclusive card making kit at Archivers! Welcome back to the Hampton Art blog! 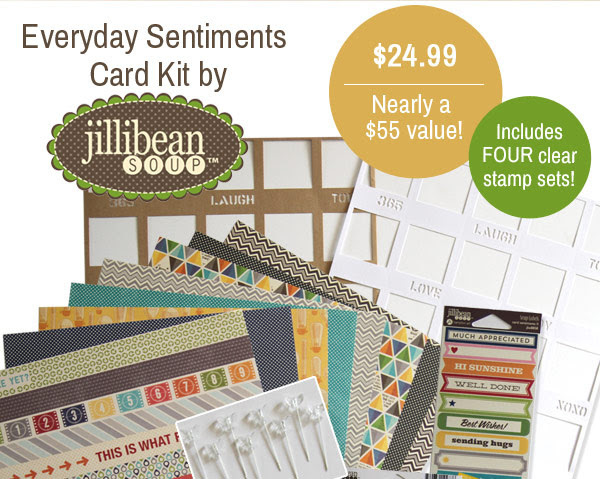 It's a Jillibean Soup kind of a day, and today's card features some products from the Saffron Yellow Pepper Soup collection. Die cut patterned paper panel and adhere. 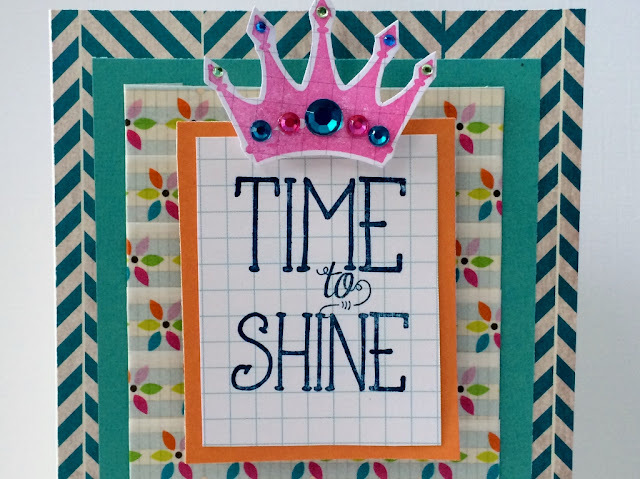 Use mini-dot template to create a border around the panel with a silver gel pen; apply Stickles to the dot in the center of each scallop. While card is drying, dot Pea Pod flowers with silver gel pen and put three dots at the bottom of each letter in "Hello"; dot flower stamens with Stickles and set aside to dry. Color wooden flowers with Krylon silver leaf pen and add Stickles; set aside to dry. Adhere Pea Pod flowers and sentment with foam dimensional tape. Adhere wooden flowers to Pea Pod flowers and top with a pearl. Here is a go to card for all those princesses in our lives. This card is a sweet combination of KI Memories papers and two new Hampton Art Wood stamps. I just adored the crown stamp and had to try it out. I began by stamping it in pink ink onto plain white cardstock and then fussy cut it out and set aside. I also found some really fun KI Memories paper tape with the multi-color flower on it and decided to use it to create my mat panel. The base of the card was covered in KI Memories 6x6 paper with teal herringbone print as shown. 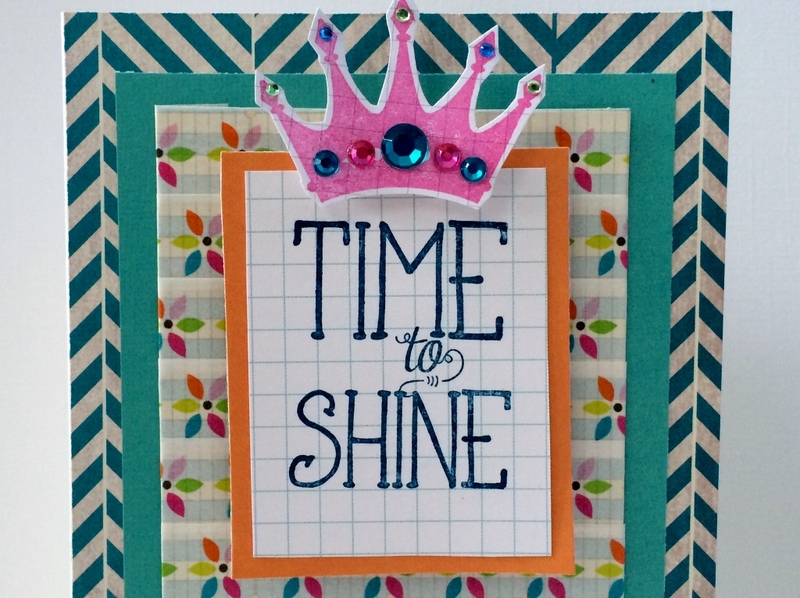 Next I stamped in navy blue the sentiment “Time to Shine” onto grid paper. With just one additional plain teal cardstock I had all my pieces ready. Next I layered them all together as shown adding the orange matted cardstock to the sentiment cut-out with 3D foam dots for dimension. All that was left was to go bling crazy on the crown, and so I did. I used several different sizes and colors of gemstones for that final touch. This card sentiment allows for several different occasions, could be Birthday, promotion, baptism, dance recital, even a big ball game. Anything for the royalty in our lives! 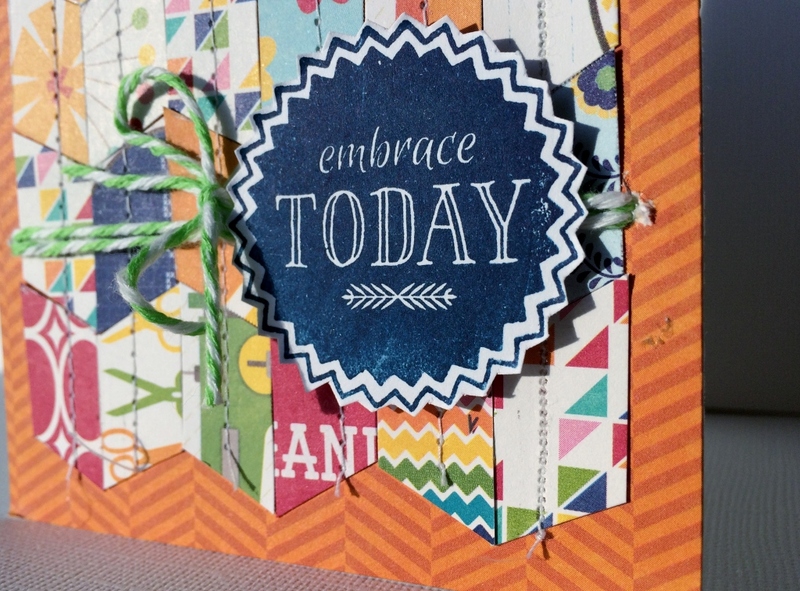 Share a colorful card made from scraps encouraging a friend to embrace today. This stamp is from a fabulous brand new Hampton Art clear stamp set. 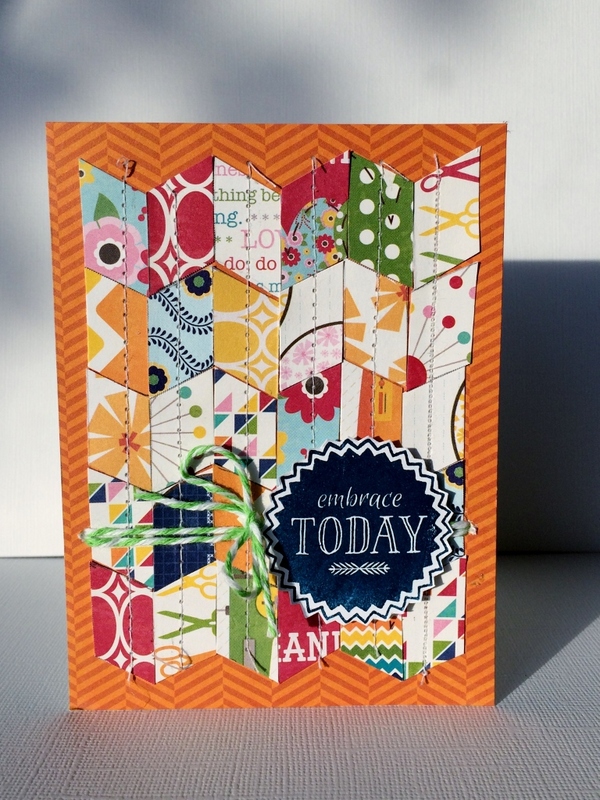 I reached for a coordinating orange print from the Cool as a Cucumber Jillibean Collection as the card base. Next I made a template and cut out from scraps the parallelograms, these are all from the wonderful new Sew Sweet Sunshine Soup collection. Then I sorted and aligned them in lines as shown and machine stitched them in place to add some texture. Then I stamped the sentiment onto plain white cardstock in navy blue ink, loving how it pops right off the card. I attached with 3D foam dots and added the bakers twine in green and white to finish it off with a bow. 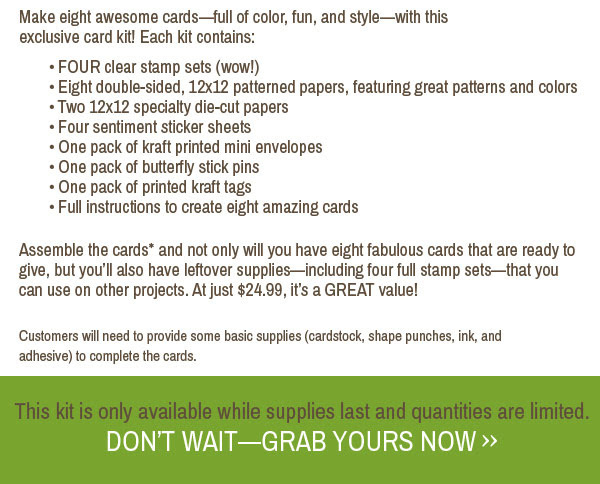 A fun, enjoy the moment, type card- perfect for the summer months distribution. Are you enjoying your summer? I am too! ; Can’t wait to head to the County Fair tonight with my familyJ. 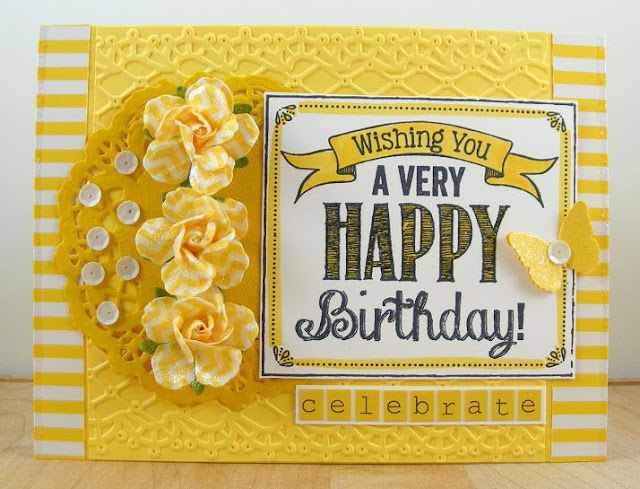 Good morning, card makers, and welcome back to the Hampton Art blog! Today's card is a one layer affair that focuses on color and sparkle to carry the day. 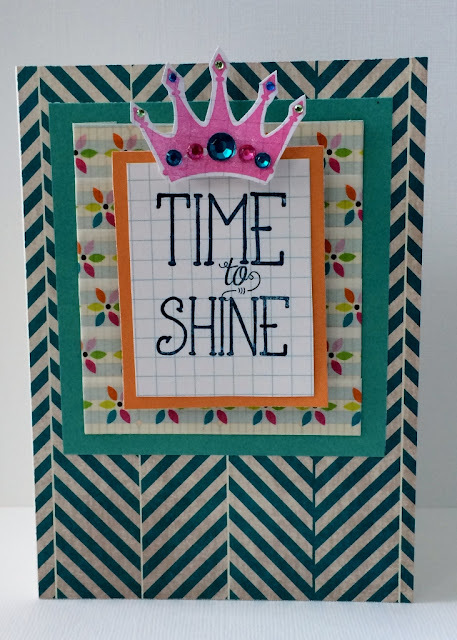 Make a 4.25” x 5.5” card base and round bottom corners. Make two masks of flower stamp. Stamp left flower and adhere mask. Stamp top flower and adhere mask. Stamp bottom flower and remove both masks; correct halos with black fine point pen if needed. Ink sentiment and stamp using graduated colors of ink (see TIP below for instructions). "Color" stamens with glue pen and apply glitter. Adhere strip of double-sided tape to bottom of card and apply glitter. You don't need an hombre ink pad to get great hombre results with a sentiment! Using a MISTI, stamp the top portion of the sentiment using the lightest ink color, then wipe off the ink, and cover that portion of the stamp with a Post-It note. Reink with the next darkest color, stamp, wipe ink from stamp and reposition the Post-It note further down the stamp. Repeat using a darker ink and repositioning the Post-It note until you're finished! (If you use the MISTI and don't remove the stamp, you will have perfect placement of each layer of ink: no blurriness, no fuzzy edges, etc.